Jessica and Jason are wild and sweet and crazy in love. 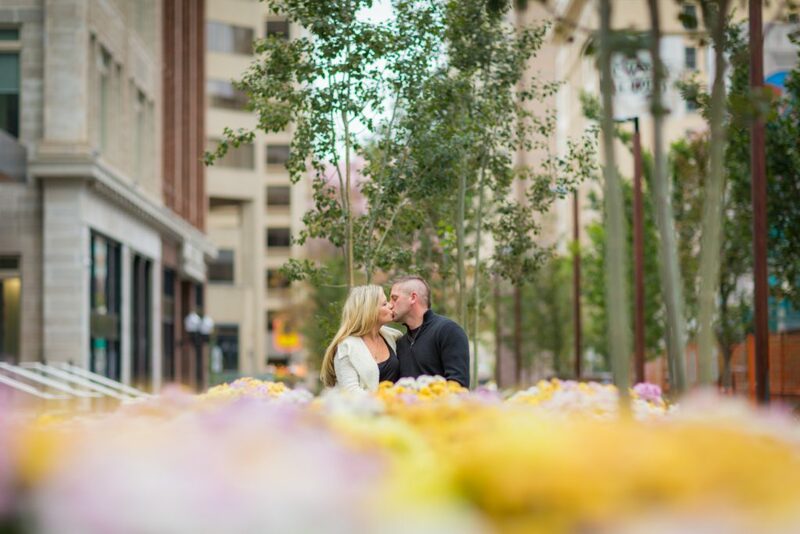 We were in love with their idea of having Edmonton urban engagement photos taken downtown. 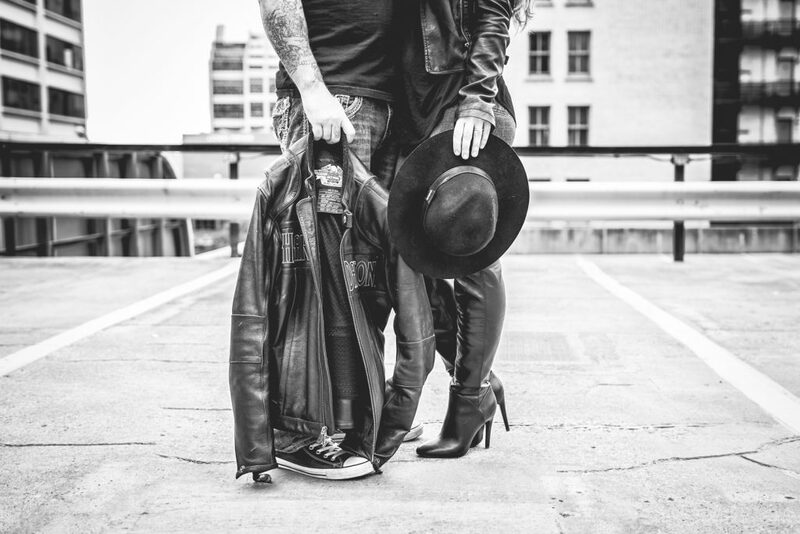 This couple rocked their urban engagement photos with such wild style that they looked like they strolled right out of a magazine and into downtown Edmonton. 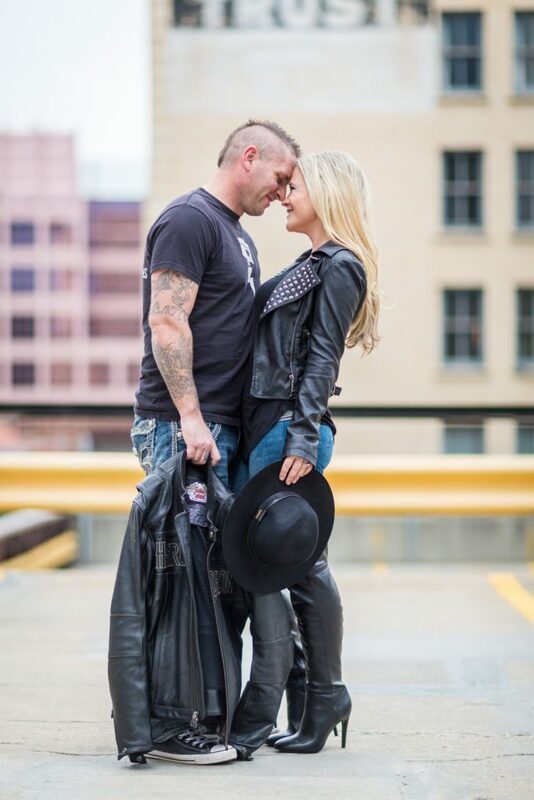 With leather motorcycle jackets and Jessica’s drool-worthy hat, this shoot came together perfectly. One of the best views of downtown is from the top of a parkade. From above the city you get a great view of the surrounding skyscrapers. If you are luck like us, you can catch the warm evening light reflecting off of hundreds of blue and gold windows. 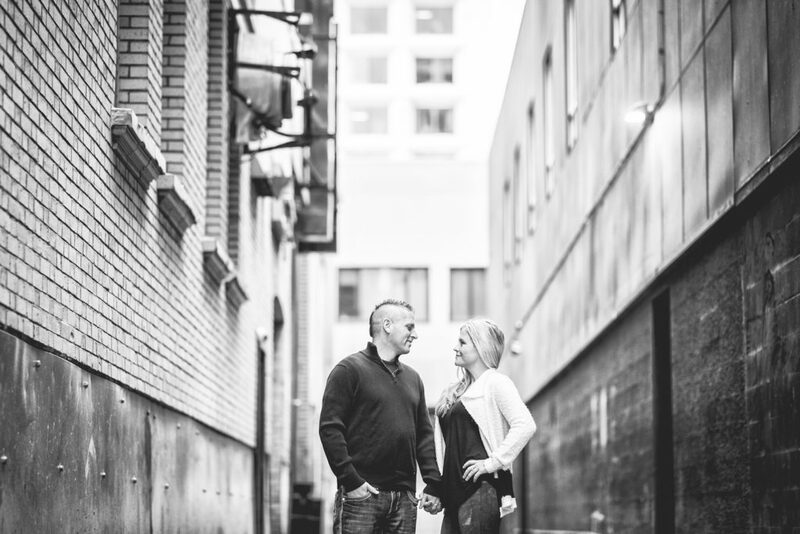 We always encourage our couples to think about what their style is and how they would like their engagement photos to feel. You can create the feel of a session with the right location. A great location will offer a lot of different views, backdrops and opportunities for creative light and movement. 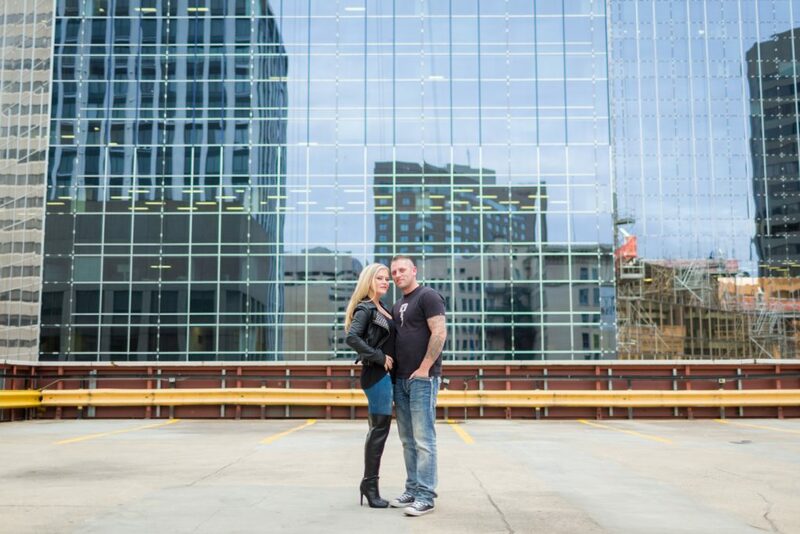 Thank you Jessica and Jason for inviting Deep Blue Photography to capture your Edmonton urban engagement photos! We cannot wait for your upcoming wedding! 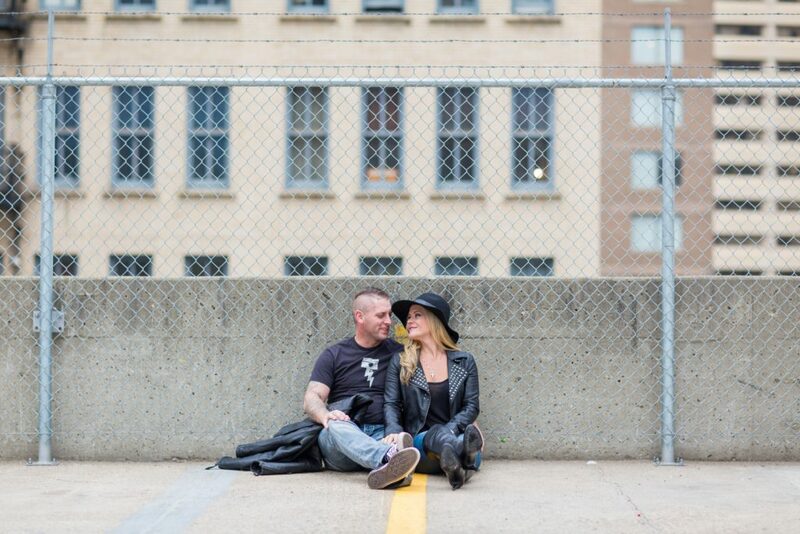 If you are planning for your engagement photos, please check out our guide! Its 100% free and may help you with some questions you had leading into your engagement photos. 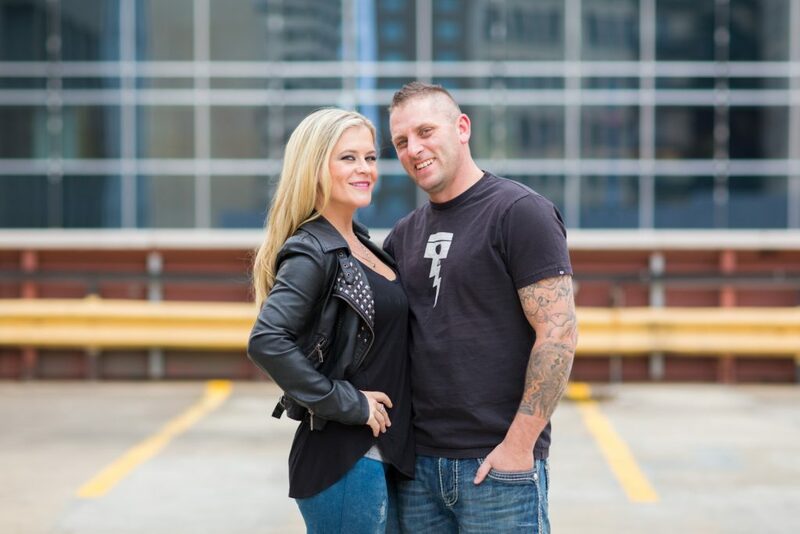 Couples often tell us that their engagement photos are the first time they have had professional photos take. We want couples to enjoy their sessions. It should not be stressful. They should not be nervous. Preparation is key! 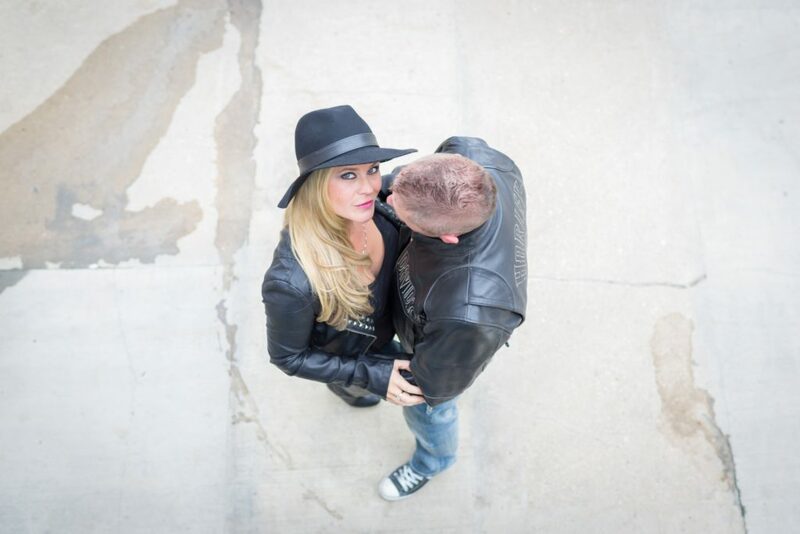 Our job to to help couples relax and feel comfortable in front of the camera. The more comfortable you are, the more you can let loose and have fun. Your engagement photos are about you and your partner celebrating and looking forward to the bright future that you will share together. We are all about capturing those sweet, joyous moments between you. So give your partner a big hug, smile your biggest, goofiest grin and leave the rest up to us!